OK, let’s start this with my personal thoughts on keyword density. That’s what we all came here for, right? Keyword density is typically represented as a percentage. It a measure of the occurrences of a keyphrase relative to a body of text, typically a complete webpage. If a keyword happens 7 times in 350 words, its density is 2% (7/350). Keyword density is a measure of SEO that has seen its ups and downs. There was a time years and years ago, where you could cram a ton of meaningless keywords into any page and get it to rank. These days the search engines are much better at what they do, so this is not such an effective tactic. In fact, it simply won’t work like that anymore. When this keyword free-for-all was happening, the on-page keyword density definitely carried a little more weight. However, because it was easy for anyone to cram keywords all over the place, the search engines quickly learned to spot and filter over-stuffed pages. And while many SEOs were saying “OK, the party’s over” and looked for other tactics, there were MANY who still believed in the power of keyword density. Personally, I have worked on projects for very well-known brands where the highly paid agency insisted on a specific (really high, actually) density per-page as the primary measure of success. Readability, tone, and even conversion were afterthoughts. Sigh. …which brings us crashing into today. Keyword density is still an SEO measure. Yep, sure is. And some people still believe it is a necessary part of a good plan in optimizing your site. I would not agree. But just like that agency I worked for, I know that everyone has their reasons and motivations…experiences vary. If you think (or know) it is important, go ahead and triple-check it. If you ask me (as you should), it remains a very low level concern if you are trying to improve the pull of your page. There are usually MANY things you should be doing to improve your SEO before you start worrying about tweaking your keyword density. Many things. I have made pages rank without having the keyword in the visible text once. Density, on its own, is just a silly measure of page strength in SEO. Don’t be silly – there is work to do. Let me suggest another use for measuring keyword density, one that is much more valuable to today’s search engine algorithms, IMHO: Using density checkers in determining over-optimization. Another by-product of the keyword-frenzied days of yesteryear, is that there seems to be a filter in Google for over-optimizing your pages. I am not referring to a site that gets completely whacked because they have crossed the line, but rather, an otherwise solid site that seems to hit a ceiling for ranking for targeted keywords. What you might find, is that you may have inadvertently been a bit too focused on improving your keywords, and now you have gone a bit overboard and entered a gray area. Google likes most of your site, but thinks you are trying a little too hard so they put a “soft” filter on you – like your site will never get beyond #6 or something like that. (that is my own observation and not supported by a focused, data-enriched case study or anything). Call it the SEO filter. Google doesn’t like SEOs, so if a page looks to be manhandled by one, it could get this SEO filter applied. What it would do, is force an SEO to spin his or her tires in the sand trying different techniques to improve. But if this filter is real, they won’t see improvements until they start un-optimizing their site a little. In this case, you can use a keyword density checker (per page) and start, very carefully, dialing it back a little. You can look at the density on each page, and work out variations that tone down the optimization efforts. So which density is the right one? Sorry, it’s just not that easy. 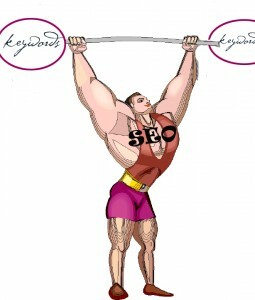 Good SEO does not offer simple “Do it X number of times, and you’ll win,” kind of strategies. Too many variables. Disclaimer aside, it is more often a range you are looking for, like between 3-7%, or something like that. I will say around 7% usually reads pretty spammy no matter what you do, and 2-3% might be a little on the softer side. If you have a reading that is climbing over 7, 10, 12% or more, it may be very likely over-optimization might be an issue for you. Maybe not. Keep testing to figure out what works best for your site – it is not the same for everybody. Allright – with all that fanfare, it’s time to see what you can do. First, you have online options. There are literally hundreds of sites offering web-based keyword density checkers. In these tools, you just enter in a URL, enter in your keywords, and get a report in seconds. The depth, accuracy and filters available will depend on the tool you use. Here’s a Google Search that will show you tons of free keyword density checkers. Go have fun. The math is simple and consistent, so it is the interface, speed and features that will make a difference to you in finding the best one. The numbers should be the same between them all. Here is another tool that is a personal favorite of mine – it has been there for years. http://www.live-keyword-analysis.com/ The big difference you’ll see in this tool, is it is not based on URLs – it is based on text you input into the text field. This gives you an ability to enter your text and tweak it – seeing the density effects on-the-fly. With three possible keyphrases, it has been a great little tool when I need it. Bottom line is don’t think too hard on keyword density…it is simply not worth the effort as a page-strength building tactic. In today’s websites, you are much more likely to have an over-optimizing issue that a keyword density tool can help you find than you will a weak page that is bettered through a density analysis. I’ve written a free keyword density analyzer http://www.keywordanalyzer.org/ that allows checking of content *before* it has been published. Hope you find it useful. Hey Derek – thanks for the link – I’ll try it out. Yours has the same approach as the second one I linked. I like doing the analysis on the fly – pretty good way to make sure you’re not overboard.